It’s that time of year again! 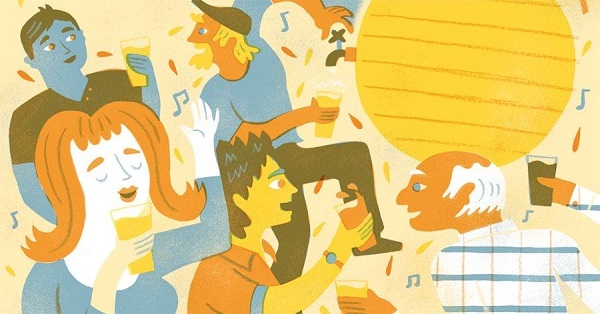 From Friday 9th to Sunday 11th September, Factoberfest returns to the Tobacco Factory, with Bristol Beer Factory putting together a dazzling display of craft beers, live music, great food and stuff for the kids. The full line up of craft and keg beers – including hoppy IPAs, stouts and porters as well as saisons and wheat beers (plus cider for the apple fans) can be seen here. On the Friday night, the Bristol Eats crew will be in attendance providing some great street food, with Wild and Rustic, Little Taqueria, Sri-Licious, Moorish, Smoke Catering, Scoff and Relish plus Pickled Brisket offering a wide range of food options, including recipes using beer and cider. On the Saturday night, expect BBQ from Low n Slow Bristol, and grilled cheese sandwiches from For Mice And Men. The Bristol Eats DJ will be in attendance on Friday night, while the full live music line up for the Saturday and Sunday can be seen here. On the Saturday, Chloe from Kids Kre8 will be on hand to keep little ones entertained. Factoberfest runs from 5pm to midnight on Friday, noon till midnight on Saturday, and noon till 11pm on Sunday – visit the Bristol Beer Factory website or the Facebook event page for more details.